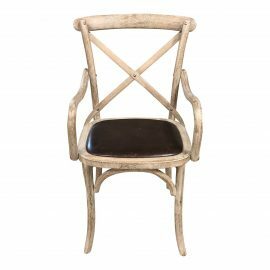 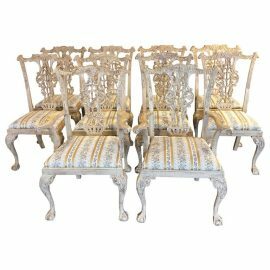 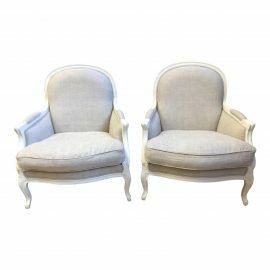 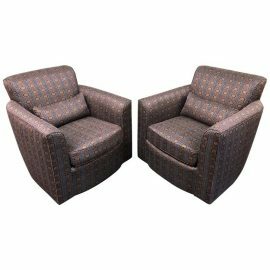 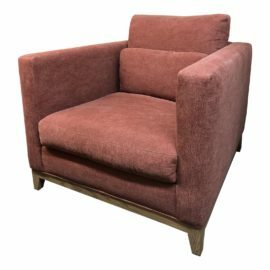 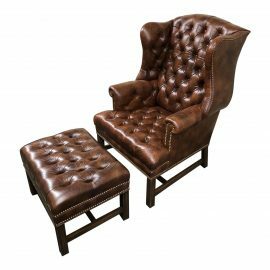 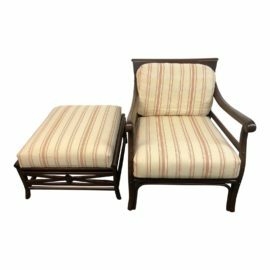 Design Plus Gallery presents pair of Olivia Chairs by Ethan Allen. 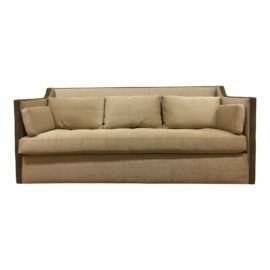 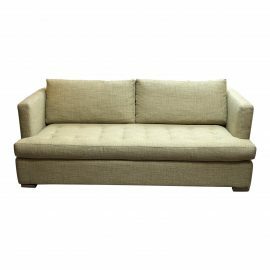 A pleated roll and tight back upholstered design with a waterfall skirt. 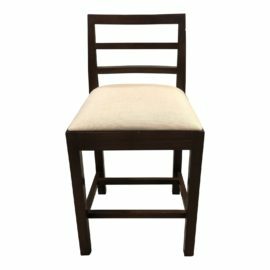 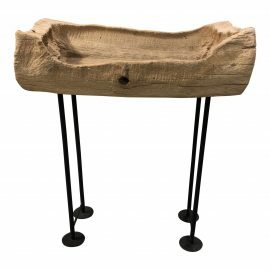 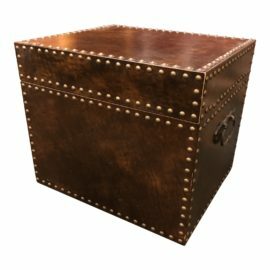 Can be used around the dining table or extra side seating. 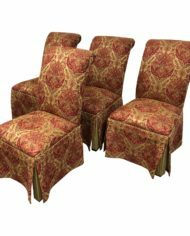 Upholstered in a floral damask design. 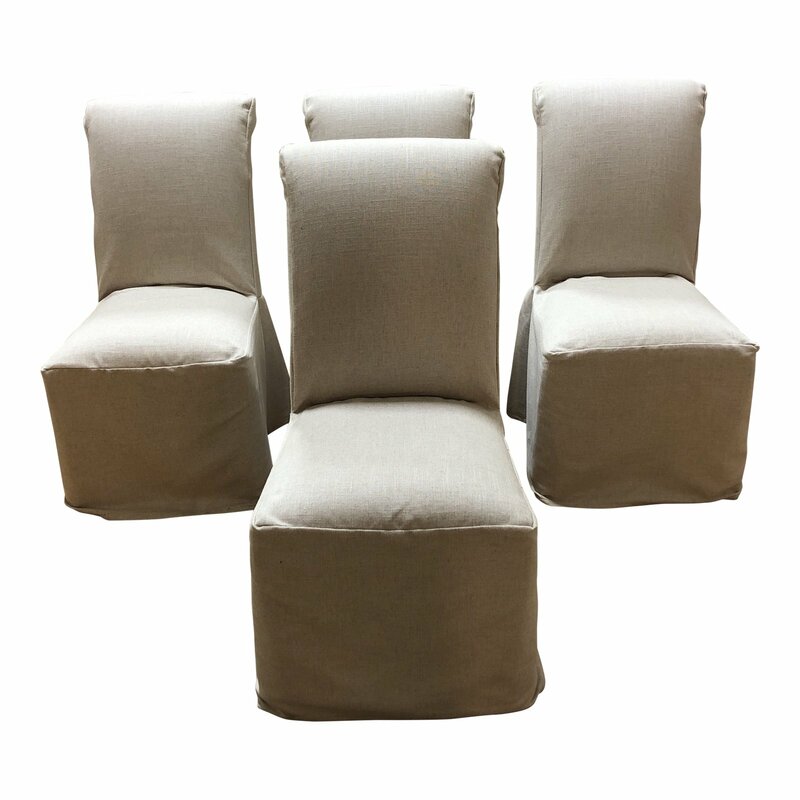 Accompanied with a pair of Restoration Hardware Belgian linen Hudson Collection slip covers. 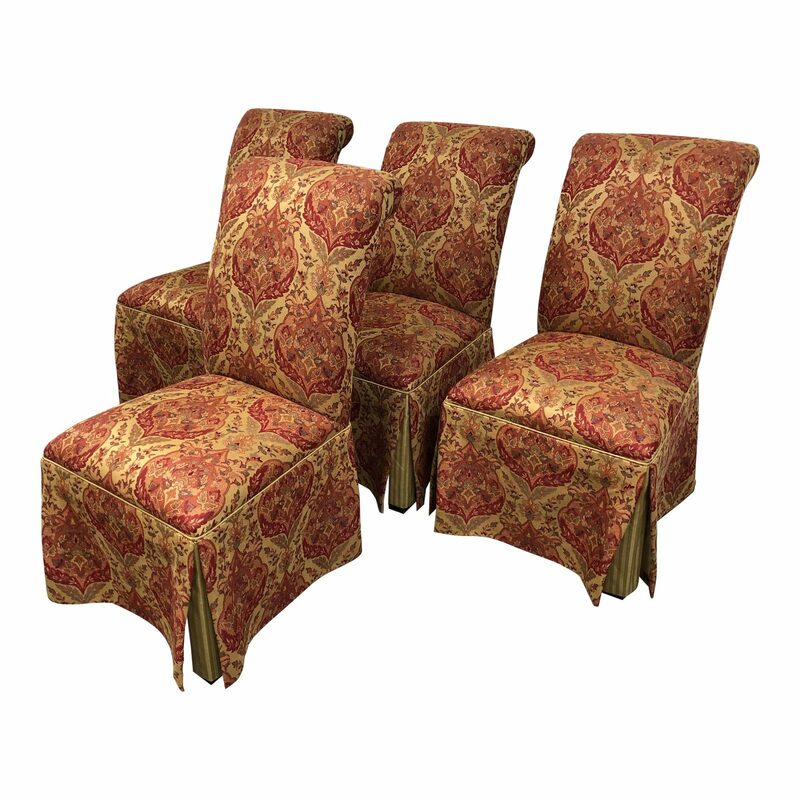 With these additional slip covers you now have a two choices for your chairs appearance. Seat Height:18 inches.